In recognizing a pattern in the graph there needs to be knowledge about the state of the trend. Where this trend will surely continue. This can be seen in terms of the pattern. So, do not be careless or as long as you open an position, while you do not know exactly what kind of pattern is being formed. Is there a trend forward or reversal, and so on. To find out this, you can read the pattern that appears in the graph. One of them is the Falling Wedge. 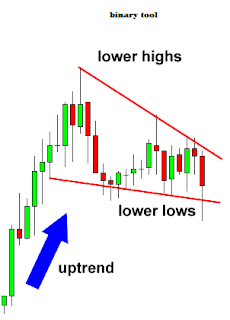 The Falling Wedge can be categorized as a continuation pattern. 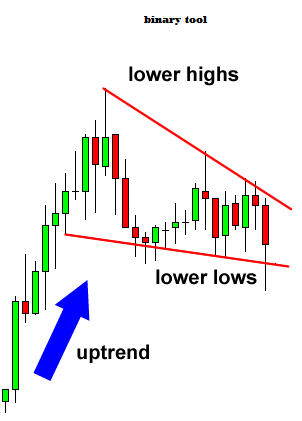 As a forwarding pattern, the Falling Wedge will move narrowly down, so it forms a slope (sloping line) that pushes prices to an increasingly low position. 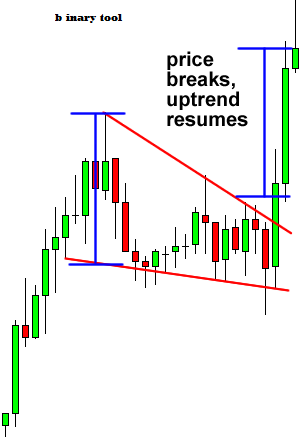 But if this pattern is identified as a reversal reversal pattern, the Falling Wedge narrows then fails to continue downward, but instead breaks the resistance. 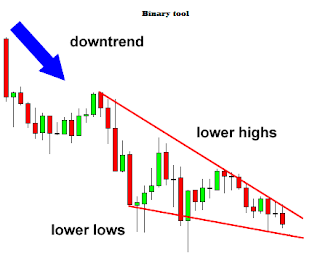 As a reversal signal, what is formed below is a downtrend. 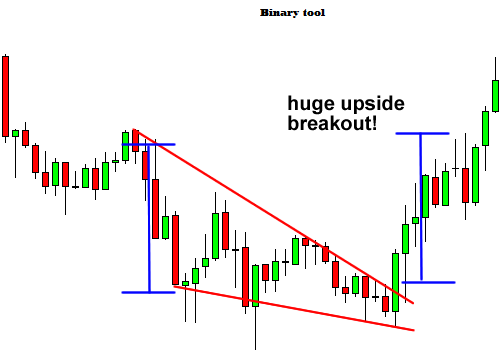 However, this chart pattern shows that the increase will come in the next trend. As a continuation of the previous signal, which was formed during the up-trend, implied a price movement that will rise again upwards. 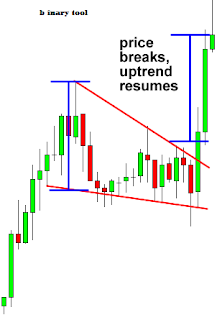 Unlike the chart formed on the Rising Wedge, the Falling Wedge that appears is a bullish chart pattern. In this pattern the price movement that quickly exceeds the target will be realized when the price moves up through the trend line, with a position more or less the same as the formation height. 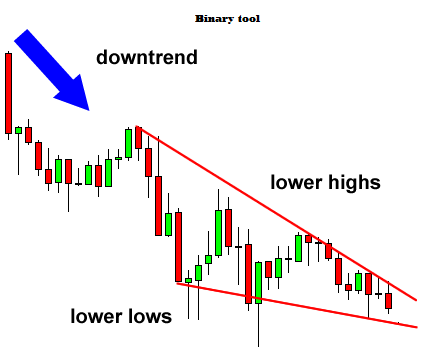 The Falling Wedge pattern is designed to measure the decline pattern which is getting smaller and is a potential signal when the price is experiencing a reversal. Or in this case it is developing towards an up-trend. Although the selling pressure is still not reduced, and demand still has not experienced a victory until the resistance breaks, in this condition we should wait until the breakout occurs and another signal shows confirmation.